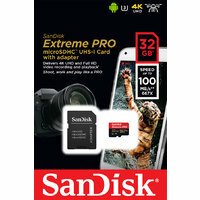 The SanDisk Extreme Pro 128GB Micro SDXC UHS-II Memory Card offers plenty of storage space for keeping your large files, photos, and more while its durable build provides protection against daily wear. 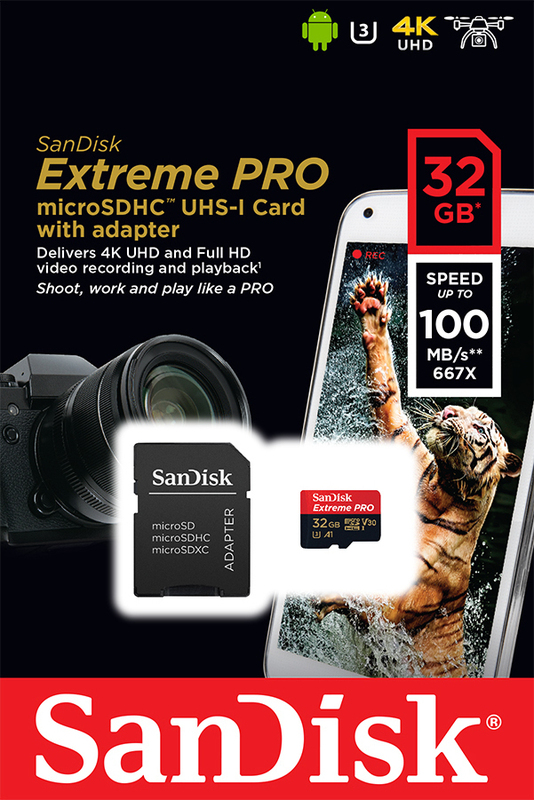 For transferring large files quickly, the SanDisk Extreme Pro 128GB Micro SDXC UHS-II Memory Card has a fast read and write speed of up to 275MB/s and 100MB/s*, respectively. Offering a 128GB capacity, the Extreme Pro memory card offers ample space for storing your multimedia files, documents, and more. Tough and long-lasting against day to day wear and tear, this 128GB Micro SDXC memory card is X-ray, temperature, shock, and waterproof**. This SanDisk SDXC memory card comes with a RescuePRO Deluxe data recovery software^ (download required), allowing you to conveniently retrieve accidentally deleted files. Using this micro SDXC memory card’s included USB 3.0 reader, you can transfer your files to your compatible computer with ease. * Based on internal testing; performance may be lower depending upon host device interface, usage conditions and other factors. 1MB=1,000,000 bytes.